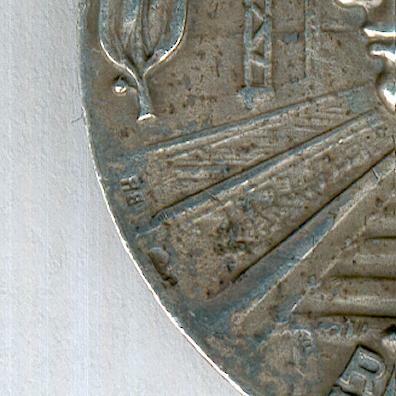 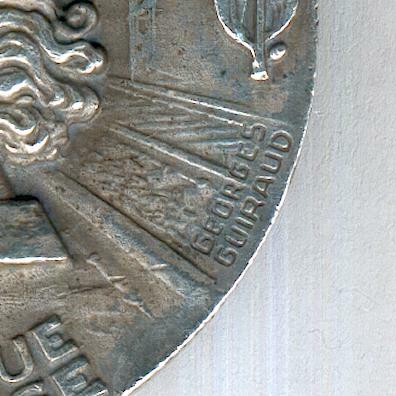 Circular silvered bronze medal with laterally-pierced barrel suspension; the face with a female head facing left wearing a Phrygian bonnet, representative of the French Republic, an electrified railway line beyond, laurel branches to either side, inscribed ‘REPUBLIQUE FRANÇAISE’ and signed ‘GEORGES GUIRAUD’ (engraver, 1900-1989, most famous for his French coins of the 1950s) with bronze assay marks and maker’s mark ‘AB’ for Arthus Bertrand of Paris; the reverse with an electric locomotive in the foreground, a steam engine on a viaduct behind, a laurel branch to the left, the attribution ‘J. 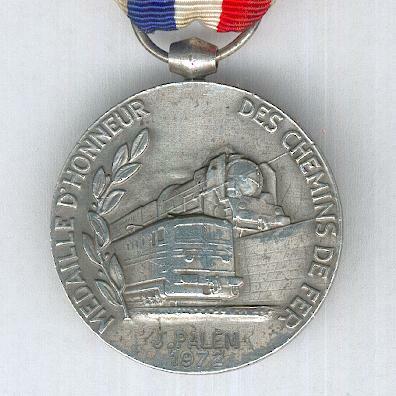 PALEM 1972’ below, circumscribed ‘MEDAILLE D’HONNEUR DES CHEMINS DE FER’ (Medal of Honour of the Railways); on original ribbon. 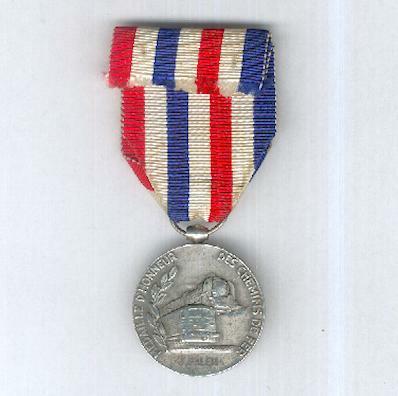 The Medal was instituted on 19 August 1913 to reward long service or exceptional acts of courage and devotion by those working on the railways. 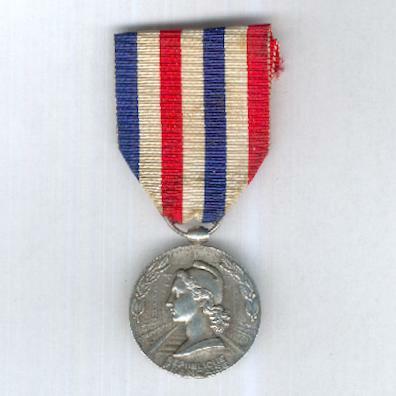 For the silver medal, an act of outstanding bravery or merit or 25 years’ service in France or 20 years on the Colonial railways was required. 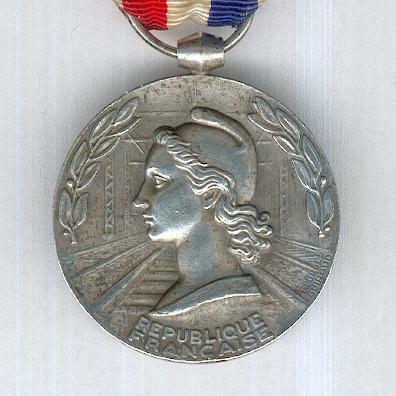 This example is of the third type, awarded from 1953 until 1982.